Get ready basketball fans, the 2013-2014 NBA season is finally upon us. The season officially kicks off tonight with 3 games, which include great match-ups between the Pacers and the Magic, Clippers and Lakers, and the Bulls and the Heat. – NBA League Pass subscribers will now be able to enjoy both the home and away TV broadcasts from every game. – NBA League Pass subscribers will now be able to enjoy archives from each nationally broadcast game. – Game Recaps from every game now free. – Team Video from every team now free. – Player Statistics, Team Rosters, and Team Statistics now free. – Live Video alerts let you know when we’re streaming press conferences and events live. 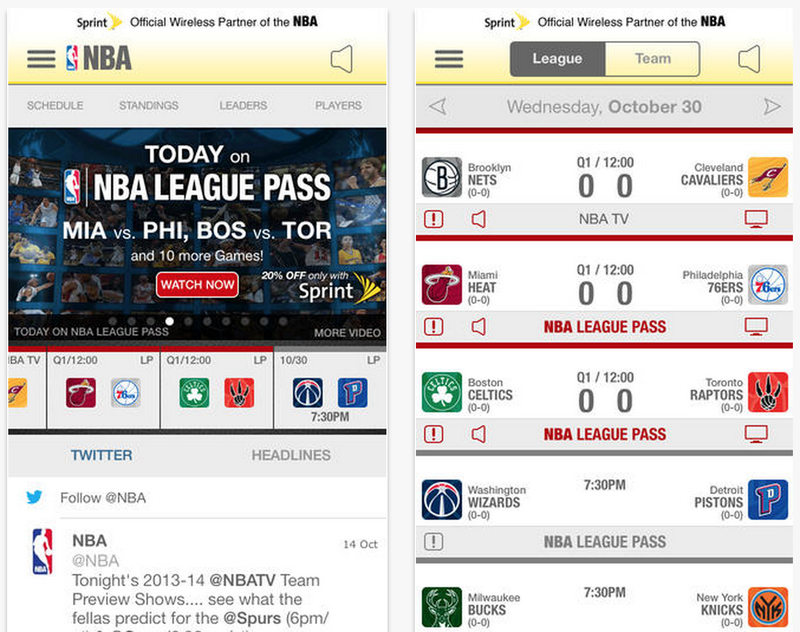 – League Pass Push Notifications now let NBA League Pass users know when games they can watch get exciting. While some of the more enticing features like live TV broadcasts are still [obviously] limited to NBA League Pass subscribers, a number of things have been made free like game recaps, team video, and player stats/team stats/team roster. I’m also digging the new iOS 7 design. It’s not as nice to look at as say, Tweetbot 3.0, but it’s definitely better than before. The white spaces and sharpened text make it much easier to find the score, statistics and other data you’re looking for. 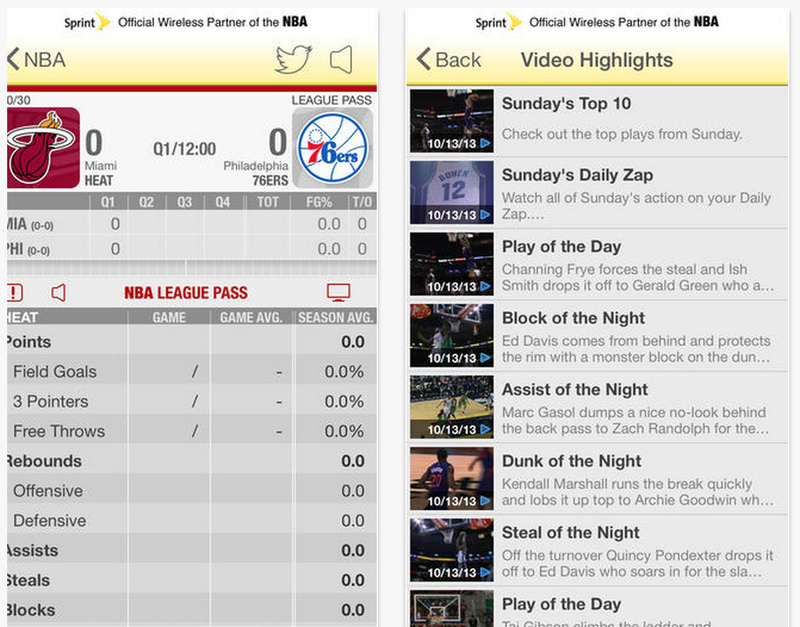 If you’re an NBA League Pass subscriber, than this app is a no-brainer. But even if you’re just an NBA fan, it’s worth checking out. 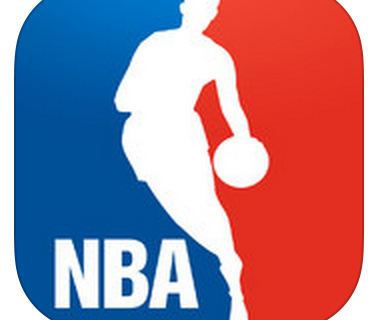 You can find NBA Game Time 2013-2014, in the App Store for free. 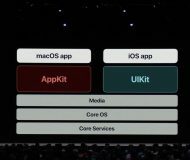 It’s available for both the iPhone and iPad.